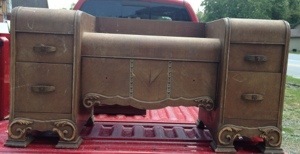 These pieces make great end tables or bedside tables. 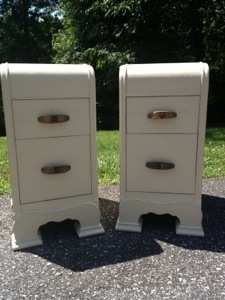 Chalk Paint® decorative paint was used. The color choice is Old Ochre with light distressing. Delivered yesterday to their new home.